Lemon lovers rejoice! This limoncello cake offers a decadent flavor and texture that's hard to beat. Incorporate lemon and limoncello liquor into the cake batter, and then indulge in the mascarpone cheese icing that blends lemon curd and mascarpone cheese with whipped cream. Never heard of limoncello? It could be your next baking ingredient obsession. Limoncello is an Italian lemon liqueur that is produced mostly in Southern Italy. (It is commonly referred to as limoncino in northern areas of the country.) It is one of the most popular types of liquor in Italy, though the liqueur has gained popularity across the globe in more recent years. 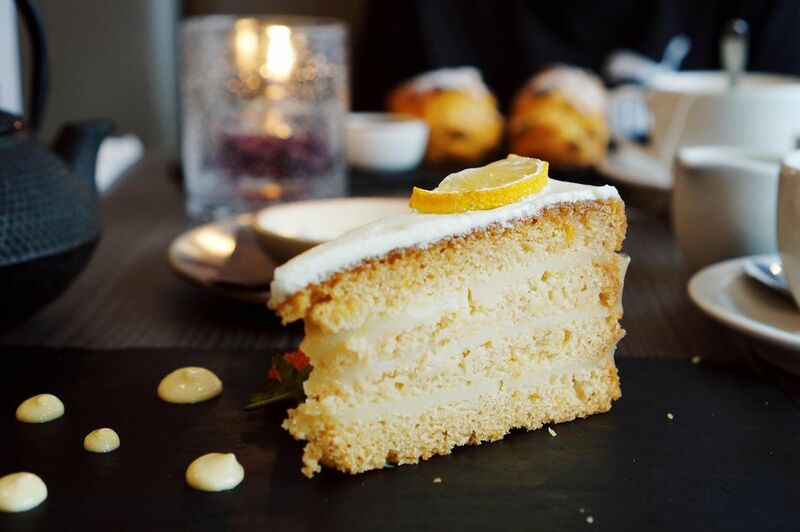 While limoncello is often served in cocktails, this limoncello cake allows you to enjoy it for dessert, too. Note: while there are multiple steps to this recipe, this limoncello dessert is broken down into workable categories to help you better plan for preparation and baking. Lightly grease two 9-inch round cake pans and then line them with parchment paper. Grease and flour the parchment paper as well. Combine flour, baking soda, and salt with a wire whisk. Set aside. Add flour alternately with buttermilk and limoncello mixed with lemon juice. Bake cakes for 20 to 25 minutes. Cool completely in pans. Cream together mascarpone cheese and lemon curd. Next, either add whipped cream or add whipped cream you have made yourself. Slowly add powdered sugar until all ingredients are combined. Fold the cheese mixture into the whipped cream. Once the cakes are cool, remove the limoncello cakes from the pans. Place one layer on serving plate. Frost top with 1/3 frosting. Frost with one-half of the frosting. Use remaining frosting to frost sides of cake. Decorate top with optional white chocolate shavings. Ensure to grease your pans for the cakes before adding the batter, as this will help you release them when they are done baking and cooling. Would be a shame to have baked these lovely lemon cakes and have them not come out in one piece.